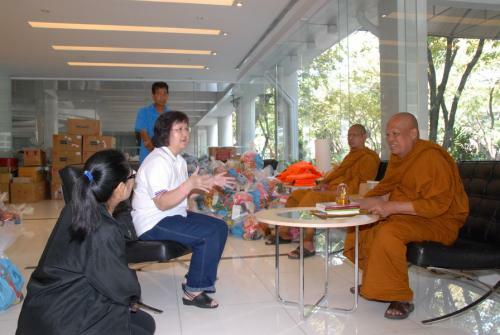 Miss Supa Piyajitti, the deputy Permanent Secretary of Ministry of Finance, and acting the director of ?? 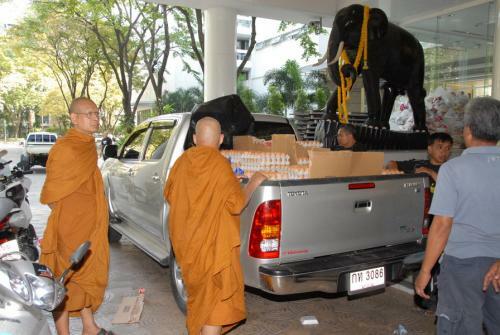 ?Powers of Vayupak to Help Flood Victim? 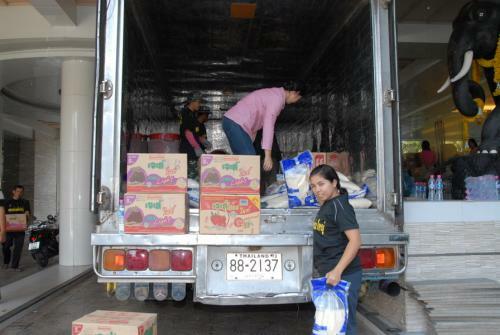 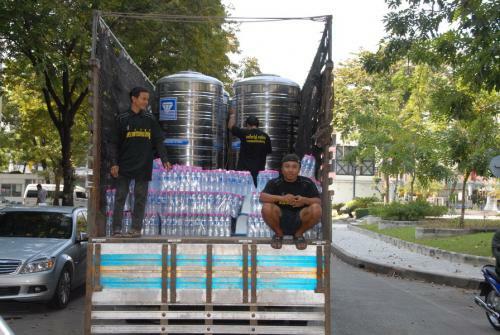 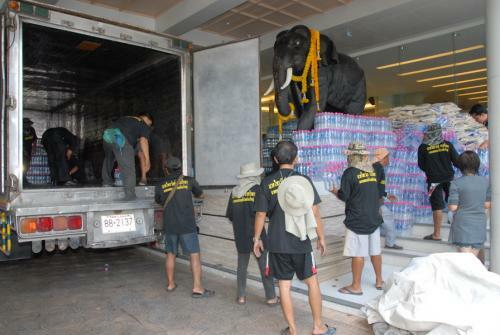 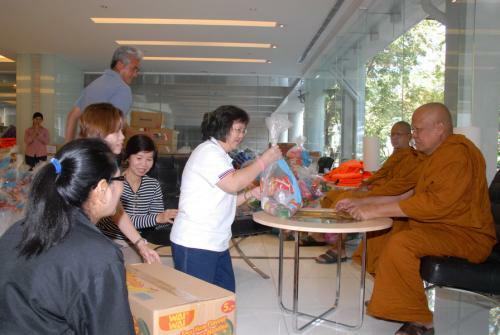 ?� Center, gave the relief bags, water bottle, consumption goods, fiber boat, etc., to Phra Thamvarajarn, the director of Sirinthorn Ratchavithayalai Foundation Under Royal Patronage, at Vayupak Hall, Ministry of Finance, November 12 2011.